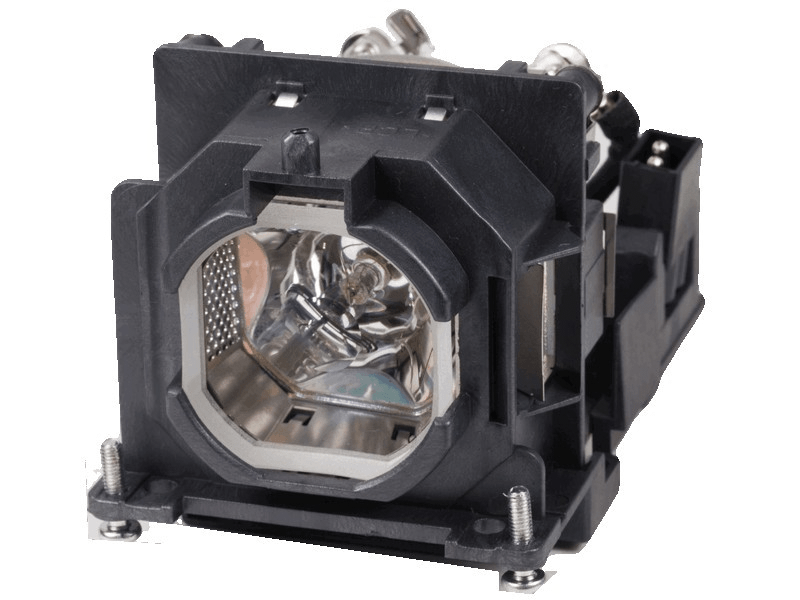 The PT-LW333 Panasonic projector lamp replacement comes with a genuine original 230 watt Ushio brand bulb inside rated at 3,100 lumens (brightness equal to the original Panasonic lamp replacement). The PT-LW333 lamp has a maximum rated life of up to 10,000 hours! Normal lamp settings result in a 5,000 hour rated life, Eco1 setting has a 6,000 hour life and Eco2 setting results in a 10,000 hour rated life. Our PT-LW333 Panasonic lamp replacement has superior brightness and lamp life than other cheaper generic replacement lamps being sold elsewhere. Purchase with confidence from Pureland Supply with a 5-star Google rating, free ground shipping, and a 180 day warranty. PT-LW333 Panasonic Projector Lamp Replacement. Projector Lamp Assembly with High Quality Genuine Original Ushio Bulb Inside. Excellent service and very knowledgeable customer service rep who helped us troubleshoot and get us up and running. Tough to find this kind of service any more - thank you!